Recently I received a lovely note from Wendy Reagor describing how the ladies of the Samunnat Project in Nepal are using the Simmons Slicer. 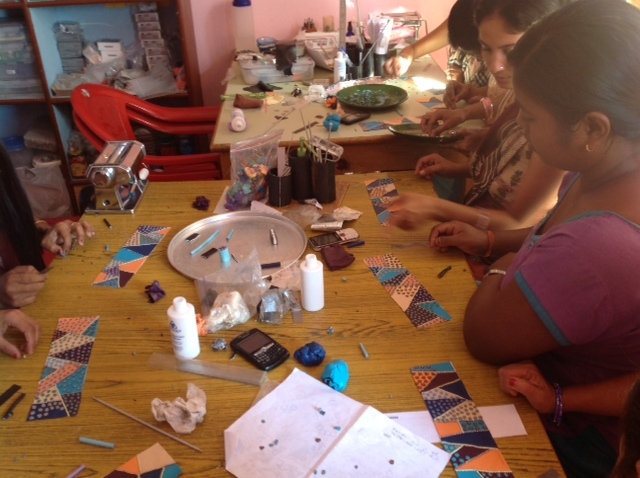 This project provides support for Nepali women who have survived domestic violence and are developing ways to generate an income for themselves and their families. The polymer clay products they produce become income that helps support education for their children, the purchase of food and medicine, and hope for a brighter future. Eventually this will become a self-sustaining project run as a cooperative by the women themselves. I’m proud that the Polymer Clay Community is a strong supporter of the Samunnat project. With others, we are currently helping them build a new home for this important work. Women of the Samunnat Project with the Simmons Slicer (patent pending). A couple of years ago, Craig Brodahl (the designer/producer of the Simmons slicer) and I shipped a slicer to Nepal as a combined donation/purchase. 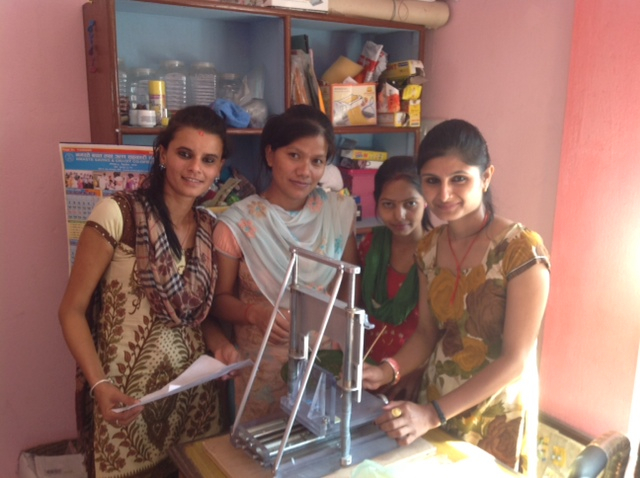 It took a while for the Samunnat ladies to become comfortable using the slicer but now it is used on a regular basis. After two years of use they are just now replacing the original blade. Wendy sent these pictures along with her note. The top one shows some of the ladies who are using the slicer and the bottom one shows polymer clay “fabrics” they are making from the slices to be used in making jewelry. Slices are combined to produce polymer “fabrics” used for beads and jewelry . Many of you have asked about the status of the Simmons slicer. Originally Craig was producing the slicers one at a time in his garage workshop and shipping them to purchasers as he made them. As we received more and more orders it became obvious that this approach couldn’t continue. Craig is now producing parts for 40 slicers using an assembling line process, still in his garage. Our plan is for him to begin assembling them after the holidays. We have a list of over 30 people who have expressed an interest in purchasing slicers and the first option to buy will go to them in the order of their position on the list. We never anticipated so many orders or the length of time it would take to fill them. Thank you for you patience. Read more about the Sammunat project on the Colorful Journeys Website. I’ve been on the list to buy one for ages and am still very interested in buying one. Please don’t remove me! You are definitely on it!